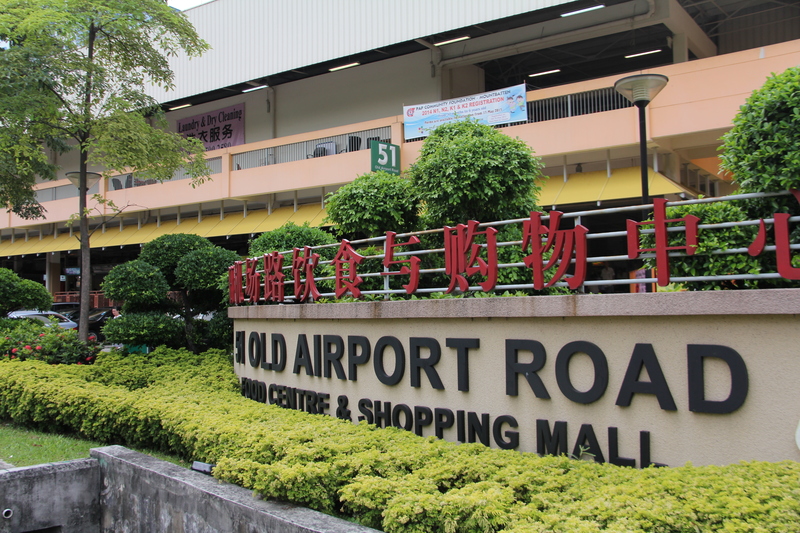 Where to go and get together with our good friends Ann and Nic? 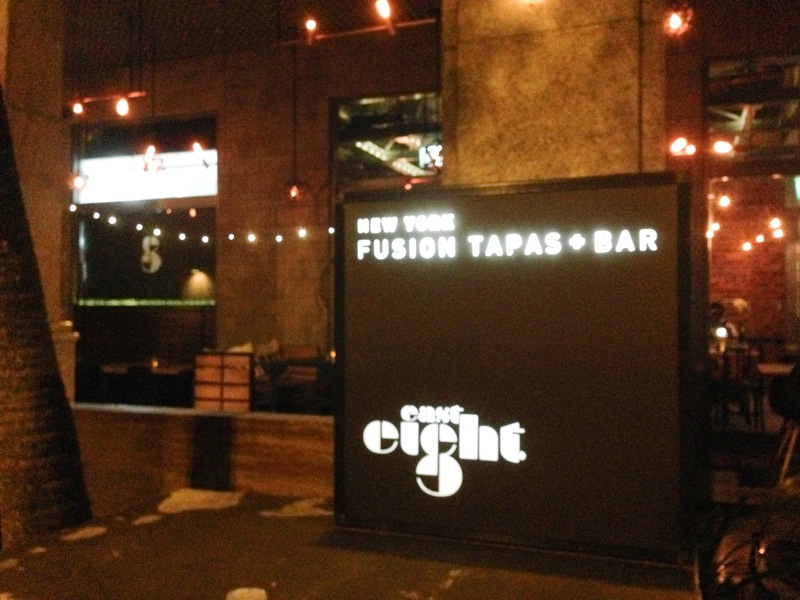 After some deliberation, we went for something pretty central, East 8 New York Fusion Tapas + Bar, located on Coleman Street at Grand Park City Hall Hotel, real close to a lot of things. There is a huge trend in Tapas these days, and honestly, I think it’s a good thing. The best thing is to try a lot of things and little plates allow you to do so. So we decided to get a bunch of things. The first up was the Soy Yuzu Beef Infused Torched Sliced Argentine Tenderloin. So tender and flavorful. 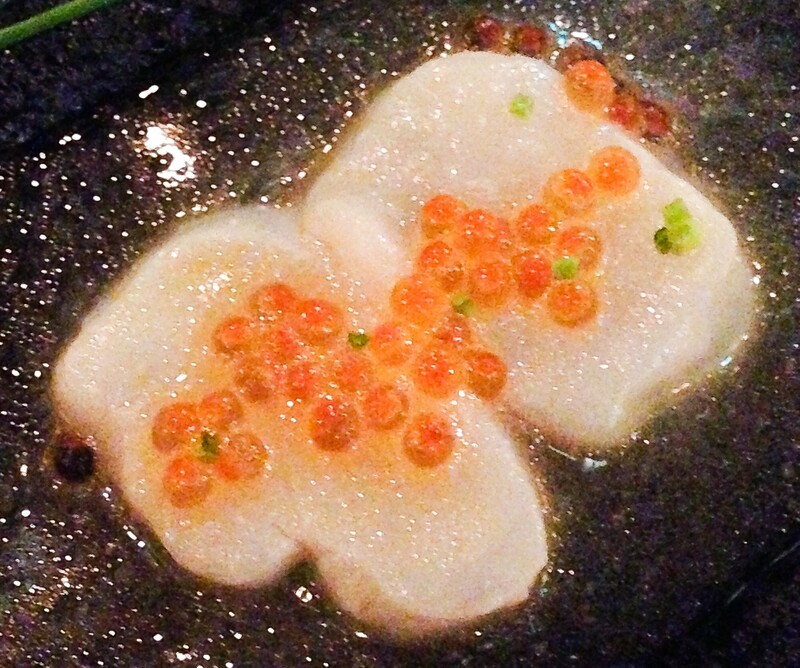 A little bit of Hokkaido Scallop with Yuzu Miso Dressing. Sliced not too thinly, and the flavor is all there. Nice touch. 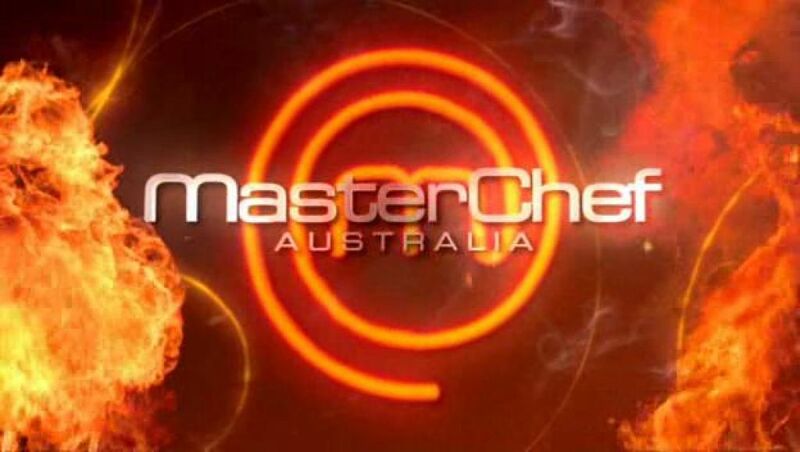 Some Grilled Tiger Prawns with Chili and Garlic. Pretty plain for me. 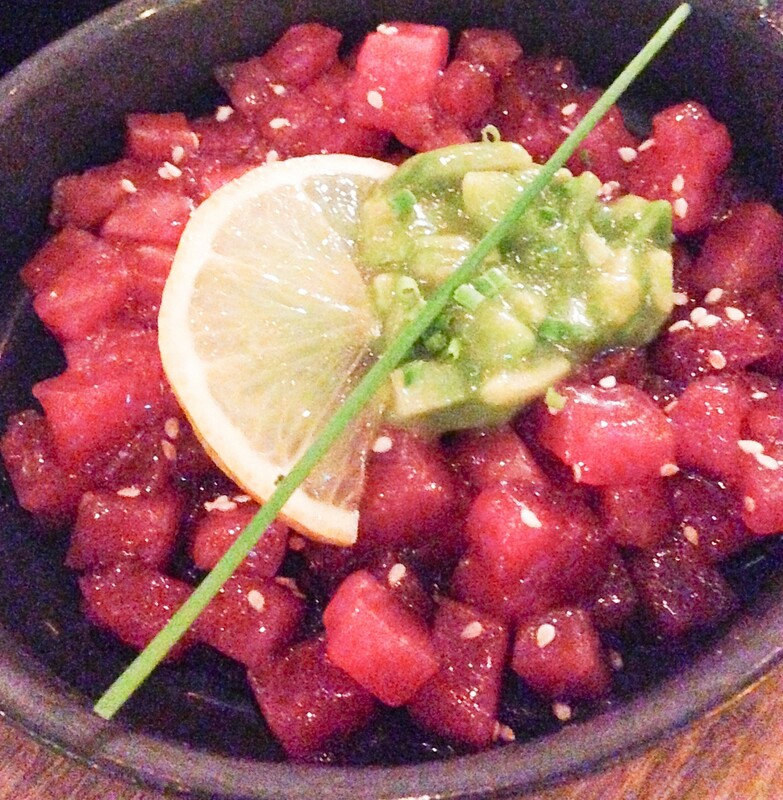 Yellowfin Tuna with Lemon and Avocado. The Tuna was very fresh and you could taste it. Simple and clean, a nice taste. Chilean Seabass with Miso and Wine and Buttered Shimeji Mushrooms. The fish was so tender and sweet, the mushrooms a nice compliment. 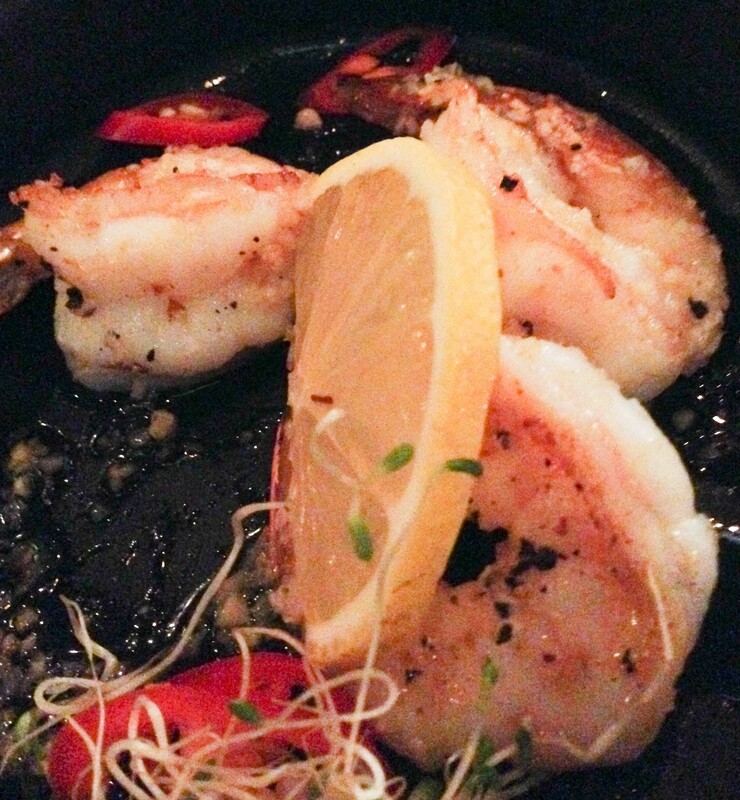 A little bigger than your usual tapas dish, but very flavorful. 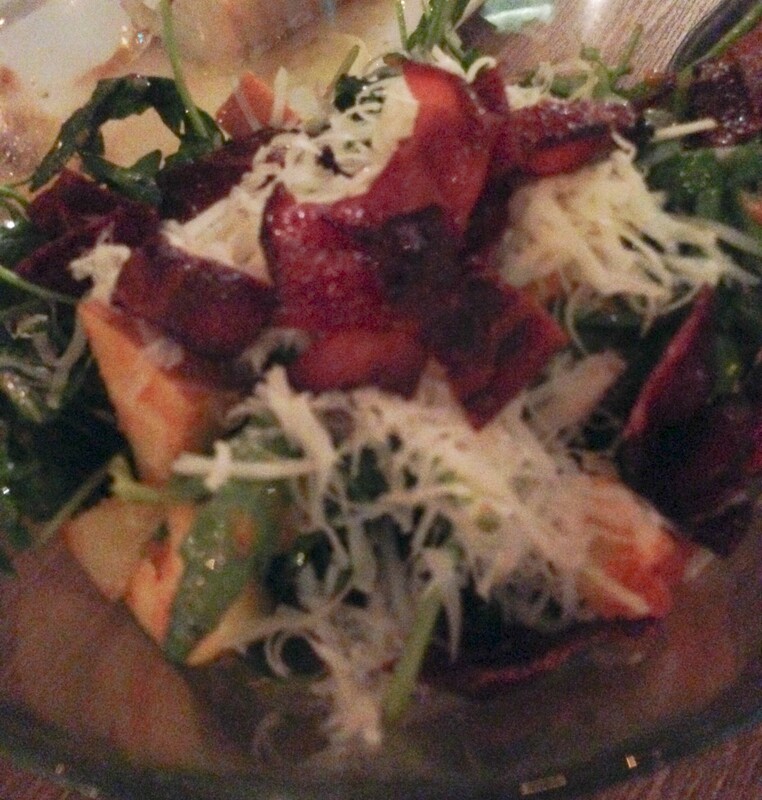 How about some greens?Kimchi Fuji Apple Salad with Bacon, Rocket and Gruyere. A real nice tasting salad. But then again I have always thought Fuji Apple, a sharp cheese and Bacon on a salad with some thicker sauce is a great combination. 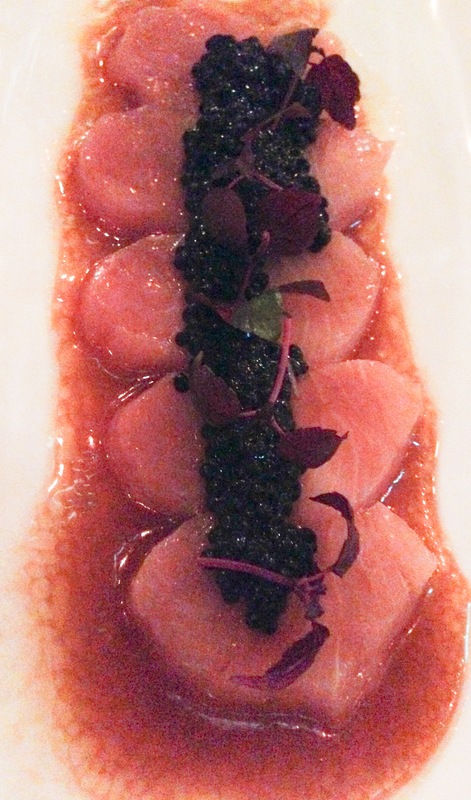 Hamachi with Seasame, Soy and Black Caviar. Nice, nice, nice! On to dessert for us! 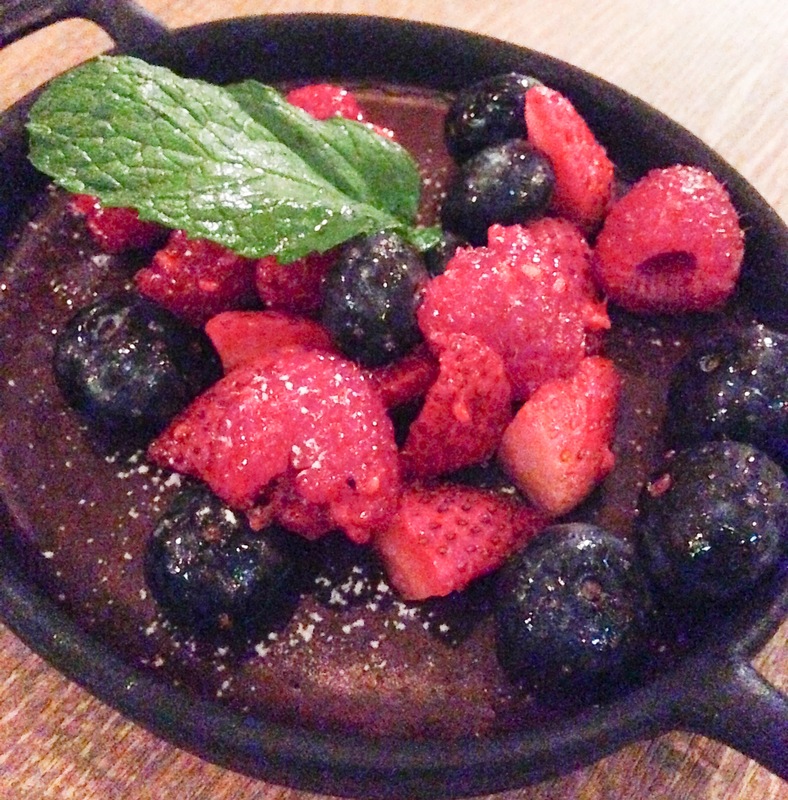 Chocolate Pot with Berries. Wow, so rich and decadent. And really, really good! This place is quite small, it seats about 16 inside and perhaps another 10 outside. But it’s a great place to enjoy some small bits and get together and talk with friends, or a great place for a date. I wish the menu was a little larger, it needs double the items, but it’s still a great place to try. 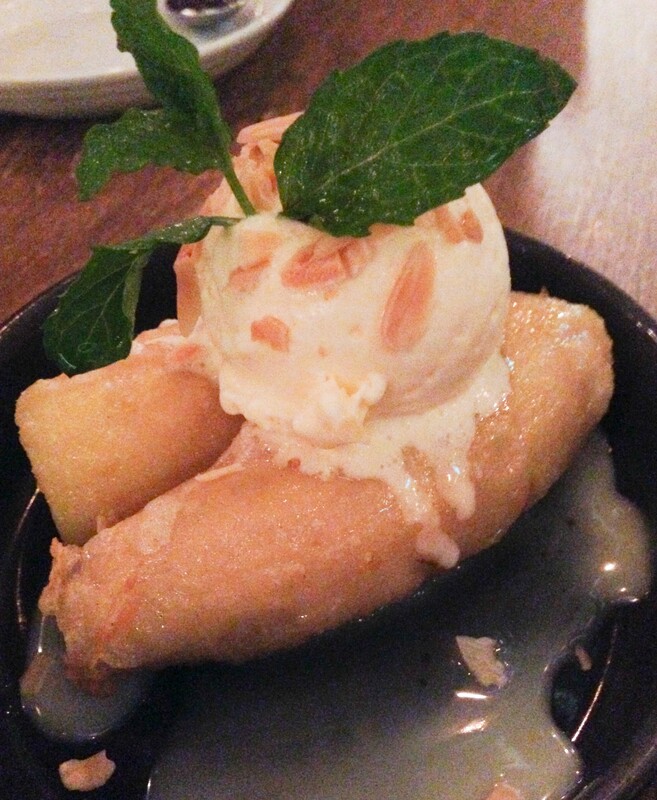 Posted in TapasTagged Singapore, TapasBookmark the permalink.